This is not a complete history of computing in the period I cover. I mean to convey the closing years of ARPA’s “great leaps” in ideas about computing, and then cover the attempt to continue those “great leaps” privately, at Xerox PARC. I’ve been dividing up this series roughly into decades, or “eras.” Part 1 focused on the 1940s and 50s. Part 2 focused on the 1960s. This part is devoted to the 1970s. In Part 2 I covered the creation of the Advanced Research Projects Agency (ARPA) at the Department of Defense, and the IPTO (Information Processing Techniques Office, a program within ARPA focused on computer research), and the many innovative projects in which it had been engaged during the 1960s. There were signs of “trouble in paradise” at the IPTO, beginning around 1967, with the acceleration of the Vietnam War. Charles Herzfeld stepped down as ARPA director that year, and was replaced by Eberhardt Rechtin. There was talk within the Department of Defense of ending ARPA altogether. Defense Secretary Robert McNamera did not like what he saw happening in the program. Money was starting to get tight. People outside of ARPA had lost track of its mission. It was recognized for producing innovative technology, but it was stuff that academics could get fascinated about. Most of it was not being translated into technologies the military could use. Its work with the academic community created political problems for it within the military ranks, because academia was viewed as being opposed to the war. Rechtin cut a lot of programs out of ARPA. Some projects were transferred to other funders, or were spun off into their own operations. He wanted to see operational technology come out of the agency. The IPTO had some allies in John Foster at the Department of Defense Research & Engineering (DDR&E), the direct supervisor of ARPA, and Stephen Lukasik, who had had the chance to use the Whirlwind computer (which I covered in Part 1). Lukasik was very excited about the potential of computer technology. He succeeded Rechtin as ARPA director in 1970. The IPTO’s budget remained protected, mainly, it seems, due to Lukasik pitching the Arpanet to his superiors as a critical technology for the military in the nuclear age (I covered the Arpanet in Part 2). In 1970 a rule called the Mansfield Amendment, created by Democratic Senator Mike Mansfield, came into effect. It established a rule for one year mandating that all monies spent by the Defense Department had to have some stated relevance to the country’s military mission. Wikipedia says that this rule was renewed in 1973, specifically targeting ARPA. Waldrop claims it was really a round-about way of cutting defense spending, but it didn’t mean anything in terms of the technology that was being developed at ARPA. Nevertheless, it had social reverberations within the agency’s working groups. In light of the controversy over the Vietnam War, it tarnished ARPA’s image in the academic community, because it required all projects funded through it to justify their existence in military terms. When non-military research proposals would be sent to ARPA, military “relevance statements” would be written up and slapped on them at the end of the approval process, unbeknownst to the researchers, in order to comply with the law. These relevance statements would contain descriptions of the potential, or supposed intended use of the technology for military applications. This caused embarrassing moments when students would find out about these statements through disclosures obtained through the Freedom of Information Act. They would confront ARPA-funded researchers with them. This was often the first time the researchers had seen them. They’d be left explaining that while, yes, the military was funding their project, the focus of their research was peaceful. The relevance statements made it look otherwise. Secondly, it gave the working groups the impression that Congress was looking over their shoulder at everything they did. The sense that they were protected from interference had been pierced. This dampened enthusiasm all around, and made the recruiting of new students into ARPA projects more difficult. ARPA’s name was changed to DARPA in 1972, adding the word “Defense” to its name. It didn’t mean anything as far as the agency was concerned, but given the academic community’s opposition to the Vietnam War, it didn’t help with student recruiting. In 1972 the consulting firm Bolt Beranek and Newman (BBN), which had built the hardware for the Arpanet, wanted to commercialize its technology–to sell it to other customers besides the Defense Department. IPTO director Larry Roberts announced in 1973 that he was leaving DARPA to work for BBN’s new networking subsidiary, named Telenet. This created a big problem for Lukasik, because Roberts hadn’t groomed a deputy director, as past IPTO directors had done, so that there would be someone who could jump right in and replace him when he left. It was up to Lukasik to find a replacement, only that wasn’t so easy. He had created a bit of a monster within the IPTO. Every year he had pushed its budget higher, while other projects within DARPA were having their budgets cut. He tried to recruit a new director from within the IPTO’s research community, but everyone he thought would be suited for it turned him down. They were enjoying their research too much. Lukasik came upon J.C.R. Licklider, the IPTO’s founding director, as his last resort. Licklider (he liked to be called “Lick”), who I talked about extensively in Part 2, had returned to MIT and ARPA in 1968. He became a tenured professor of electrical engineering. He began his own ARPA project at MIT, called the Dynamic Modeling group, in 1971. He observed that the Multics project, which I covered in Part 2, nearly overwhelmed Project MAC’s software engineers, and almost resulted in Multics being cancelled. The goal of his project was to create software development systems that would make complex software engineering projects more comprehensible. As part of his work he got into computer graphics, looking at how virtual entities can be represented on the screen. He also studied human-computer interaction with a graphics display. Larry Roberts tried to find someone besides Lick to be his replacement, more as an act of mercy on him, but in the end he couldn’t come up with anyone, either. He contacted Lick and asked him if he’d be his replacement. He reluctantly accepted, and returned to his post as Director in 1974. Lick became an enthusiastic supporter of Ed Feigenbaum’s artificial intelligence/expert systems research. I talked a bit about Feigenbaum in Part 2. Through his guidance, Feigenbaum founded Stanford’s Heuristic Programming Project. Feigenbaum’s work would become the basis for all expert systems produced during the 1980s. He also supported Feigenbaum’s effort to integrate artificial intelligence (AI) into medical research, granting an Arpanet connection to Stanford. This allowed a community of researchers to collaborate on this field. The IPTO’s favored place within DARPA did not last. Lukasik didn’t get along with his new superior at DDR&E, Malcom Currie. They had different philosophies about what DARPA needed to be doing. Waldrop wrote, “Currie wanted solutions out of ARPA now,” and he wanted to replace Lukasik with someone of like mind. Bob Taylor at the Xerox Palo Alto Research Center had his eye on Lukasik. He needed someone who understood how they did research, and how to talk to business executives. Taylor had been an IPTO director in the late ’60s (I cover his tenure there in Part 2). He brought its style of computer research to Xerox, but he could see that they were not set up to create products out of it. He thought Lukasik would be a perfect fit. Taylor had been recruiting many of DARPA’s brightest minds into PARC, and it was a source of frustration at the agency. Nevertheless, Lukasik was intensely curious to find out just what they were up to. He came out to see what they were building. PARC was accomplishing things that Lick had only dreamed of years earlier. Lukasik was so impressed, he left DARPA to join Xerox in 1975. His replacement was George Heilmeier. Waldrop characterized him as hard-nosed, someone who took an applied science approach to research. He had little patience for open-ended, basic research–the kind that had been going on at DARPA since its inception. He was a solutions man. He wanted the working groups to identify goals, where they expected their research to end up at some point in time. His emphasis was not exploration, but problem solving. Though it was jarring to everybody at first, most program directors came to accommodate it. Lick, however, was greatly dismayed that this was the new rule of the day. He thought Heilmeier’s methods went against everything DARPA stood for. Lick liked the idea of finding practical applications for research, but he wanted solutions that were orders of magnitude better than older ones–world changing–not just short-term goals of improving old methods by ten percent. Further, he could see that micromanagement had truly entered the agency. It wasn’t just a perception anymore. Lick had a very good track record of picking research projects, using a more subjective, intuitive sense about people, and he didn’t believe you could achieve the same quality of research by trying to use a more objective method of selecting people and projects. Interestingly, I found this article in EETimes that saw this from a very different perspective, saying that what DARPA had been running was a “good-old-boys network” (and it’s difficult to see how it’s not implicating Lick in this), and that Heilmeier snapped them into shape. Lick tried to see it from Heilmeier’s perspective, that researchers should not see applications as a threat to basic research, and that they should make common cause with engineers, to bring their work into the world of people who will use their technology. He thought this could provide an avenue where researchers could receive feedback that would be valuable for their work, and would hopefully soften the antagonism that was being directed at open-ended research. Meanwhile, he’d quietly try to keep Heilmeier from destroying what he had worked so hard to achieve. Heilmeier seemed to agree with this approach. He issued some challenges to the IPTO working groups of technical problems he saw needed to be solved. He said to them, “Look, if some of you guys would sign up for these challenges I can justify more fundamental work in AI.” Some of them did just as he asked, and got to work on the challenges. Lick declared in 1975 that the Arpanet, a project which began at DARPA in 1967, was fully operational, and handed control of the network over to the Defense Communications Agency. Heilmeier was pleased with the changes at the IPTO. They had “gotten with the program,” and he thought they were producing good results. For Lick, however, the change was exhausting, and depressing. He left DARPA for good in late 1975, and returned to MIT, where his spirit soared again. This didn’t mean that he left computing behind. He came up with his own projects, and he encouraged students to play with computers, as he loved to do. Bob Kahn at DARPA asked an important question. He agreed with Heilmeier’s “wire brushing” of the agency; that some projects had become self-indulgent, but he cautioned against “too much of a good thing” the other way. Kahn pursued a research initiative, anticipating the future of VLSI (Very-Large-Scale Integration) design and fabrication for microchips, in order to try to revive the basic research culture at the IPTO. He won approval for it in 1977. Through it, methods were developed for creating computer languages for designing VLSI chips. Kahn was also the co-developer of TCP/IP with Vint Cerf at DARPA, the protocol that would create the internet. Heilmeier left DARPA in 1977, and was replaced by Bob Fossum, who had a management style that was more amenable to basic research. The question was, though, “Okay. This is good, but what about the next director?” It had been common practice for people at DARPA to cycle out of administrative positions every few years. Was it too good to last? Kahn began the Strategic Computing Initiative in 1983, a $1 billion program (about $2.3 billion in today’s money) to continue his work on advancing computer hardware design, and to advance research in artificial intelligence. Fossum was replaced by Robert Cooper that same year. Cooper took Kahn’s research goals and reimplemented them as an agency-wide program, giving every part of DARPA a piece of it. According to Waldrop, Kahn was disgusted by this, and took it as his cue to leave. The era of revolutionary research in computing at the agency seems to come to an end at this point. Lick had long been a futurist, a very reliable one. In a book published in 1979, “The Computer Age: A Twenty-Year View,” he looked into the future, to the year 2000, about what he could see happening–if he thought optimistically–with a nationwide digital network that he called “the Multinet.” The term “Internet” was not in wide use yet, though work on TCP/IP, what Lick called the “Kahn-Cerf internetworking protocol,” had been in progress for several years. The internet wouldn’t come into being for another 4 years. The Multinet would permeate society, Lick wrote, thus achieving the old MIT dream of an information utility, as updated for the decentralized network age: “many people work at home, interacting with coworkers and clients through the Multinet, and many business offices (and some classrooms) are little more than organized interconnections of such home workers and their computers. People shop through the Multinet, using its cable television and electronic funds transfer functions, and a few receive delivery of small items through adjacent pneumatic tube networks . . . Routine shopping and appointment scheduling are generally handled by private-secretary-like programs called OLIVERs which know their masters’ needs. Indeed, the Multinet handles scheduling of almost everything schedulable. For example, it eliminates waiting to be seated at restaurants.” Thanks to ironclad guarantees of privacy and security, Lick added, the Multinet would likewise offer on-line banking, on-line stock-market trading, on-line tax payment–the works. In short, Lick wrote, the Multinet would encompass essentially everything having to do with information. It would function as a network of networks that embraced every method of digital communication imaginable, from packet radio to fiber optics–and then bound them all together through the magic of the Kahn-Cerf internetworking protocol, or something very much like it. Lick predicted its mode of operation would be “one featuring cooperation, sharing, meetings of minds across space and time in a context of responsive programs and readily available information.” The Multinet would be the worldwide embodiment of equality, community, and freedom. He tended to be pessimistic that this all would come true. With the world as it was, he thought a more tightly controlled scenario was more likely, one where the Multinet did not get off the ground. He thought big technology companies would not get into networking, as it would invite government regulation. Communications companies like AT&T would see it as a threat to their business. Government, he thought, would not want to share information, and would rather use computer technology to keep proprietary files on people and corporations. He thought the only way his positive vision would come to pass was if a consensus of hundreds of thousands, or millions of people came about which agreed that an open Multinet was desirable. He felt this would require leadership from someone with a vision that agreed with this idea. At this time there were packet switching network options offered by various technology companies, including IBM, Digital Equipment Corp. (DEC), and Xerox, but none of them offered openness. In fact, business customers wanted closed networks. They feared openness, due to possibilities of security leaks and industrial espionage. Things were not looking up for this “marketplace” vision of a future network, even in academia. Michael Dertouzos, who led the Laboratory of Computer Science (LCS) at MIT (formerly Project MAC), was very interested in Lick’s vision, but complained that his fellow academics in the program were not. In fact they were openly hostile to it. It felt too outlandish to them. Microcomputers had taken off in 1975, with the introduction of the MITS Altair, created by electrical engineer Ed Roberts. (This was also the launching point for a small venture created by Bill Gates and Paul Allen, called “Micro Soft,” with their first product, a version of the Basic programming language for the Altair.) Lick bought an IBM PC in the early 1980s, “but it never had the resources to do what he wanted,” said his son, Tracy. Yes, Lick knew, these talented little micros had been good enough to reinvent the computer in the public mind, which was no small thing. But so far, at least, they had shown people only the faintest hint of what was possible. Before his vision of a free and open information commons could be a reality, the computer would have to be reinvented several more times yet, becoming not just an instrument for individual empowerment but a communication device, an expressive medium, and, ultimately, a window into on-line cyberspace. The major sources I used for this part of the story were Alan Kay’s retrospective on his days at Xerox, called “The Early History of Smalltalk” (which I will call “TEHS” hereafter), and “The Alto and Ethernet Software,” by Butler Lampson (which I will call “TAES”). Parallel to the events I describe at DARPA came a modern notion of personal computing. The vision of a personal computer existed at DARPA, but as I’ll describe, the concept we would recognize today was developed solely in the private sector, using knowledge and research methods that had been developed previously through DARPA funding. The idea of a computer that individuals could buy and own had been around since 1961. Wes Clark had that vision with the LINC computer he invented that year at MIT. Clark invited others to become a part of that vision. One of them was Bob Taylor. What got in the way of this idea becoming something that less technical people could use was the large and expensive components that were needed to create sufficiently powerful machines, and some sense among developers about just how ordinary people would use computers. Most of the aspects that make up personal computing were invented on larger machines, and were later miniaturized, watered down in sophistication, and incorporated into microcomputers from the mid-1970s into the 1990s and beyond. Most people in our society who are familiar with personal computers think the idea began with Steve Jobs and Steve Wozniak. The more knowledgeable might intone, and give credit to Ed Roberts at MITS, and Bill Gates. These people had their own ideas about what personal computers would be, and what they would represent to the world, but in my estimation, the idea of personal computing that we would recognize today really began with Alan Kay, a post-graduate student with a background in mathematics and molecular biology, who had become enrolled in the IPTO’s computer science program at the University of Utah (which I talk a bit about in Part 2), in the late 1960s. A good deal of credit has to be given to Doug Engelbart as well, who was doing research during the 1960s at the Stanford Research Institute, funded by ARPA/IPTO, NASA, and the Air Force, on how to improve group knowledge processes using computers. He did not pursue personal computing, but he was the one who came up with the idea for a point-and-click interface, combining graphics and text, using a device he and his team had invented called a “mouse.” He also created the first system that enabled linked documents, which foreshadowed the web we’ve known for the last 20 years, and enabled collaborative computing with teleconferencing. Describing his work this way does not do it justice, but it’ll suffice for this discussion. Kay began developing his ideas about personal computing in 1968. He had started on his first proof-of-concept desktop machine, called Flex, a year earlier. He was aware of Moore’s Law (from Gordon Moore), a prediction that as time passed, more and more transistors would fit in the same size space of silicon. The implication of this is that more computing functionality could fit in a smaller space, which would thereby allow machines which filled up a room at the time to become smaller as time passed. As a graduate student, he imagined miniaturized technology that seemed unfathomable to other computer scientists of his day. For example, a hard drive as small as the crook of your finger. Back then, a hard drive was the size of a floor cabinet, or medium-sized refrigerator, and was typically used with mainframes that took up the space of a room. Engelbart thought of computing as a “vehicle” for thinking about, and sharing information, and developing group knowledge processes. 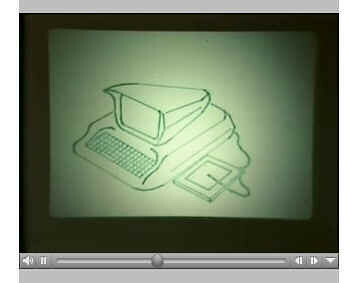 Kay got a profound sense of the personal computer’s place in the world from Papert’s work with children using Logo. He realized that personal computers could not just be a vehicle, but a new medium. People can get confused about this concept. Kay wasn’t thinking that personal computers would allow people to use and manipulate text, images, audio, and video (movies and TV)–what most of us think of as “media”–for the sake of doing so. He wasn’t thinking that they would be a new way to store, transmit, and present old media, and the ideas they expressed most easily. Rather, they would allow people to explore a whole new category of ideas and expression that the other forms of media did not express as easily, if at all. It’s not that the old media couldn’t be part of the new, but they would be represented as models, as part of a knowledge system, and operate under a person’s control at whatever grain would facilitate what they wanted to understand. Kay could see from Papert’s work that using computers as an interactive medium could enable children to understand subjects that would otherwise have been difficult, if not impossible to grasp at their age, particularly aspects of mathematics and science. Xerox enters the story in 1970. They had a different set of priorities from Kay’s, and it’s interesting to note that even though this was true, they were willing to accommodate not only his priorities, but those of other researchers they brought in. The Alto system was affected not only by the ideas its builders had about what kind of system to build, but also by their ideas about how to do computer systems research. In particular, we thought that it is important to predict the evolution of hardware technology, and start working with a new kind of system five to ten years before it becomes feasible as a commercial product. Taylor hired a bunch of people from the failing Berkeley Computer Corp., which was started by Butler Lampson, along with students that had joined him as part of Project Genie. Among the people Taylor brought in were Chuck Thacker, Charles Simonyi, and Peter Deutsch. I talk a little about Project Genie in Part 2. He also hired many people from ARPA’s IPTO projects, including Ed McCreight from Carnegie Mellon University, and some of the best talent from Engelbart’s NLS project at the Stanford Research Institute, such as Bill English. Jerry Elkind hired people from BBN, which had been an ARPA contractor, including Danny Bobrow, Warren Teitelman, and Bert Sutherland (Ivan Sutherland’s older brother). Another major “get” was hiring Allen Newell from CMU as a consultant. A couple of Newell’s students, Stuart Card and Tom Moran, came to PARC and pioneered the field we now know as Human-Computer Interaction. As Larry Tesler put it, Xerox told the researchers, “Go create the new world. We don’t understand it. Here are people who have a lot of ideas, and tremendous talent.” Adele Goldberg said of PARC, “People came there specifically to work on 5-year programs that were their dreams.” (Source: Robert X. Cringely’s documentary, “Triumph of the Nerds”) In a recent interview, which I’ll refer to at the end of this post, she said that PARC invited researchers in to work on anything that they thought in 5 years could have an impact on the company. Alan Kay came to work at PARC in 1970, started the Learning Research Group (LRG), and got them thinking about what would come to be known as “portable computers,” though Kay called them “KiddieKomps.” They also got working on font technology. 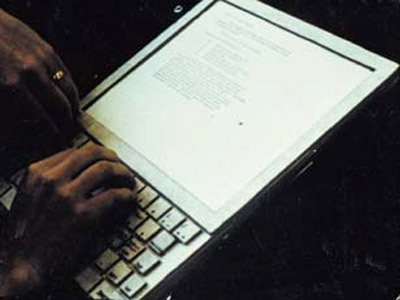 Kay envisioned the Dynabook as a portable computer, 9″ x 12″ x 3/4″, about the size of a modern laptop, with its own battery, and would weigh less than 4 pounds. In fact he said, “The size should be no larger than a notebook.” He envisioned that it would use removable media for file storage (about 1 MB in size, he said), that it might have a keyboard, and that it would record and play audio files, in addition to displaying text. He said that if no physical keyboard came with the unit, a software keyboard could be brought up, and the screen could be made touch-sensitive so that the user could just type on the screen. … Oh, and he made a wild guess that it would cost no more than $500 to the consumer. He envisioned that the Dynabook would be able to “dock” with a larger computer system at work. The user could download data, and recharge its battery while hooked up. He figured the transfer rate would be 300 Kbps. Another forward-looking concept he imagined is that it might have a flat-panel plasma display. He wasn’t sure if this would work, since it would draw a lot of power, but he thought it was worth trying. … He thought an LCD flat-panel screen was another good option to consider. Kay thought it essential that the machine make it possible to use different fonts. He and fellow researchers had already done some experiments with font technology, and he showed some examples of their results in his paper. He doesn’t elaborate on this, but he hints at a graphical interface for the device. He describes in spots how the user can create and save “dynamic graphics.” In a scenario he illustrates in the paper, two children are playing a game like Space War on the Dynabook, involving graphics animation, experimenting with concepts of gravity. This scenario lays down the concept of it being a learning machine, and one that’s easy enough for children to manipulate through a programming language. He also imagined that Dynabooks would be able to communicate with each other wirelessly, peer-to-peer, so that groups of students would be able to easily work on projects together, without needing an external network. Working with Dan Ingalls, an electrical engineer with a background in physics, Diana Merry, and colleagues, the LRG began development of a system called “Smalltalk” in 1972. This was a first effort to create the Dynabook in software. It would come to formalize another of Kay’s concepts, of virtual objects in a computer. The idea was that entities (visual and non-visual) could be fashioned by the person using a computer, which are as versatile as tools that are used in the real world, and can be used in any combination at any time to accomplish tasks that may not have been evident when they were created. Computer programming was an important part of Kay’s concept of how people would interact with this medium, though he developed doubts about it. What he really wanted was some way that people could build models in the computer. Programming just seemed to be a good way to do it at the time. The graphical interface he and his team developed for Smalltalk was motivated by educational research on children, which had surmised that they have a strong visual sense, and that they relate to manipulating visual objects better than explicitly manipulating symbols, as older interactive computer systems had insisted upon. A key phrase in the paragraph below is, “doing with images makes symbols,” that is, symbols in our own minds, and, if you will, in the “mind” of the computer. His concept of “doing with images” was much more expansive and varied than has typically been allowed on computers consumers have used. The particular aim of LRG was to find the equivalent of writing–that is learning and thinking by doing in a medium–our new “pocket universe”. For various reasons I had settled on “iconic programming” as the way to achieve this, drawing on the iconic representations used by many ARPA projects in the sixties. My friend Nicolas Negroponte, an architect, was extremely interested in embedding the new computer magic in familiar surroundings. I had quite a bit of theatrical experience in a past life, and remembered Coleridge’s adage that “people attend ‘bad theatre’ hoping to forget, people attend ‘good theatre’ aching to remember“. In other words, it is the ability to evoke the audience’s own intelligence and experiences that makes theatre work. Chuck Thacker, who has a background in physics and designing computer hardware, and a small team he assembled, created the first “Interim Dynabook,” as Kay called it, at PARC’s Computer Science Lab (CSL) in 1973. It was named “Bilbo.” It was not a handheld device, but more like the size of a desk, perhaps connected to a larger cabinet of electronics. It had a monitor with a bitmap display of 606 x 808 pixels (which gave it the profile of an 8-1/2″ x 11″ sheet of paper), and 128 kilobytes of memory. Smalltalk was brought over to it from its original “home,” a Data General Nova computer. As the years passed, CSL would develop bigger, more powerful machines, with code names Dolphin, and Dorado. Beginning in 1973, Adele Goldberg, who had a background in mathematics and information systems, and Alan Kay tried Smalltalk out on students from ages 12-15, who volunteered to take programming courses from them, and to come up with their own ideas for things to try out on it. Goldberg developed software design schema and curricular materials for these courses, and helped guide the education process as they got results. They had some success with an approach developed by Goldberg where they had the students build more and more sophisticated models with graphical objects. They thought they were building the skill of students up to more sophisticated approaches to computing, and in some ways they were, though the influence these lessons were having on the students’ conception of computing was not as broad as they thought. Kay realized after teaching programming to some adult students that they could only get so far before they ran into a “literature” barrier. The same had been true with the teen and pre-teen students they had taught earlier, it turned out. From Kay’s description, the way I’d summarize the problem is that they required background knowledge in organizing their ideas, and they needed practice in doing this. Kay said in retrospect that literature renders ideas. Any medium needs literature in order to be powerful. Literature’s purpose is to provide a body of ideas that can be discussed in the medium. (Source: TEHS) Without this literary background, the students were unable to write about, or discuss the more sophisticated ideas through programming code. No matter how good a tool or instrument is, what’s produced by the people using it can only be as good as the ideas they use in fashioning the product. Likewise, the quality of what is written in text or notation by an author or composer, or produced in sound by a musician, or imagery and sound for a movie, is only as good as a) the skill of the creators, b) the outlook they have on what they are expressing, and c) their knowledge, which they can apply to the effort. There came a “dividing point” at PARC in 1975. Kay met with other members of the LRG and discussed “starting over.” He could see that the developed ideas of Smalltalk were taking them away from the educational goals he set out to accomplish. Professional considerations had started to take hold with the group, though, and they saw potential with Smalltalk. The majority of the group wanted to stick with it. His argument for “starting over” with the educational project did not win out. He said of this point in time that while he disagreed with the decision of his colleagues, he held no ill will towards them for it. He knew them to be wonderful people. The sense I get from reading Kay’s account of this history is they saw potential perhaps in creating more sophisticated user environments that professionals would be interested in using. I infer this from the projects that PARC engaged in with Smalltalk thereafter. Once Smalltalk-76 was done (each version of Smalltalk was named by the year it was completed), Dan Ingalls and Ted Kaehler ported it to the NoteTaker, and by around 1978 Kay had created the first “luggable” portable computer. Kay recalls it using three Intel 8086 processors (though others remember it using two Motorola 68000 processors), had 256 kilobytes of memory, and was able to run on batteries. It wasn’t a laptop (it was too big and heavy), but it could fit on a desktop. 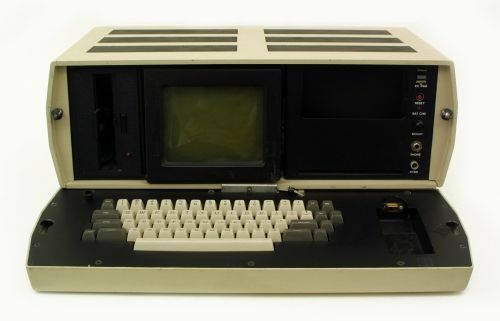 At first glance, it looks similar to the Osborne 1, the first commercially available portable computer, and there’s a reason for that. The Osborne’s case design was based on NoteTaker. Kay lamented that there wasn’t enough corporate will to use their own know-how to create better hardware for it (Kay considered the Intel processors barely sufficient), much less turn it into a commercial product. A separate project at PARC also got started in the early 1970s, called POLOS (the Parc On-Line Office System), in the System Science Lab (SSL). The goal there was to develop a networked computer office system. Edit 5/31/2016: I had suggested in the way I wrote the following paragraph that Larry Tesler had invented cut, copy, and paste actions in digital text editing. Upon further review, I think that historical interpretation is wrong. Doug Engelbart had copy and paste (and probably a “cut” action) in NLS, and there may have been earlier incarnations of it. 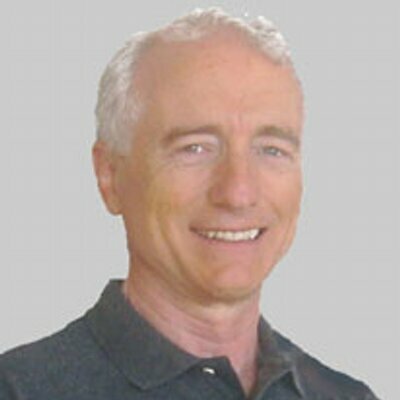 One of the first projects in this effort was a word processor called Gypsy, designed and implemented by Larry Tesler and Timothy Mott, both computer scientists. (Source: TAES) The unique thing about Gypsy was that Tesler tried to make it “modeless.” Its behavior was like our modern day word processors, where you always have a cursor on the screen, and all actions mean the same thing at all times. Wherever the cursor is, that’s where text is entered. He also invented drag selection/highlighting with a mouse, and which was incorporated into the a cut, copy, and paste process. This has been a familiar feature whenever we work with digital text. Later, Charles Simonyi, an electrical engineer, and Butler Lampson began work on the first What You See Is What You Get (WYSIWYG) text processor, called Bravo. They developed their first version in 1974. It had its own graphical interface, allowed the use of fonts, and basic document elements, like italics and boldface, but it worked in “modes.” The person using it either used the computer’s keyboard to edit text, or to issue commands to manipulate text. The keyboard did something different depending on which mode was operating at any point in time. This was followed by BravoX, which was a “modeless” version. BravoX had a menu system, which allowed the use of a mouse for executing commands, making it more like what we’d recognize as a word processor today. (source: Wikipedia) Each team was trying out different capabilities of digital text, and trying to see how people worked with a text system most productively. A couple graphical e-mail clients were developed by a team led by Doug Brotz, named “Laurel” and “Hardy,” which allowed easy review and filing of electronic mail messages. (sources: The Xerox “Star”: A Retrospective) From Lampson’s description, they appeared to be “e-mail terminals.” They didn’t store, or allow one to write e-mails. They just provided an organized display for them, and a means of telling a separate messaging system what you wanted to do with them, or that you wanted to create a new message to send. (Source: TAES) Andrew Birrell, Roy Levin, Roger Needham (who had a background in mathematics and philosophy), and Michael Schroeder, a computer scientist, developed a distributed service, which the e-mail clients used to compose, receive, and transmit network messages, called Grapevine. From the description, it appeared to work on a distributed peer-to-peer basis, with no central server controlling its services for an organization. Grapevine also provided authentication, file access control, and resource location services. Its purpose was to provide a way to transmit messages, provide network security, and find things like computers and printers on a network. It had its own name service by which clients could identify other systems. (source: Grapevine: An Exercise in Distributed Computing) To get a sense of the significance of this last point, the Arpanet did not have a domain name service, and the internet did not get its Domain Name Service (DNS) until the mid-1980s. PARC had a complete office system going, with all of this, plus networked file systems, print servers (using Ethernet, created by Bob Metcalfe and Chuck Thacker at PARC), and laser printing (invented at PARC by Gary Starkweather, with software written by Butler Lampson) by 1975! A year later they had created a digital scanner. For this section I go back to Waldrop’s book as my main source. One might ask if the future in PCs was invented at Xerox–sounding an awful lot like what is in use with business IT systems today–why didn’t they own the PC industry? An even bigger question, why weren’t people back then using systems like what we’re using now? We use Windows, Mac, and Linux systems today, each with their own graphical interfaces, which descended from what PARC created. We had word processing, and network LAN file servers for years, beginning in the 1980s, and later, e-mail over the internet, print servers, and later still, office “task” automation software. The future of personal computing as we would come to know it was sitting right in front of them in the mid-1970s. We can say that now, since all of these ideas have been made into products we use in the work world. If we were to look at this technology back then, we might’ve been clueless to its significance. The executives at Xerox were an example of this. Stephen Lukasik came to Xerox from DARPA in 1975. He set up what was called the Systems Development Division (SDD). Its purpose was to create new salable products out of the research that was going on inside Xerox. The problem for him was that Xerox’s executives were willing to give him the authority to set up the division, but they weren’t willing to listen to what he said was possible, nor were they willing to give him the funding to make it happen. 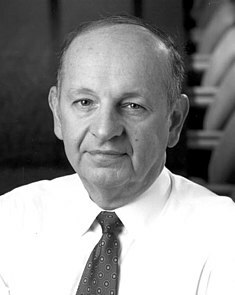 Lukasik left Xerox in 1976. He said that though his time there was short, he valued the experience. He just didn’t see the point in staying longer. Nevertheless, SDD would become useful to Xerox. It just had to wait for the right management. Xerox set up a big demo of its products in Boca Raton, FL. in 1977, which included the prototypes from PARC. All the company executives, their wives, family and friends were invited. The people from PARC did the best bang-up job they could to make their stuff look impressive for business computing. Everyone, that is, except the copier executives, the real power brokers in Xerox. You couldn’t miss them; they were the ones standing in the background with the puzzled, So-What? look on their faces. There was a change in leadership in 1978 which recognized that the management style they had been using wasn’t working. The Japanese had entered the copier market, and were taking market share away from them. This is just what Joe Wilson had anticipated eight years earlier. Secondly, the new management recognized the vision at PARC. They wanted to create products from it. Work on the Xerox Star system began that year at SDD. There’s been increasing awareness about the history of Xerox and Apple as time has passed, but there are some misconceptions about it that deserve to be cleared up. There’s some truth to this, but some of it is myth. One could almost say it was trumped up to bolster Steve Jobs’s image as a visionary. It’s a story that’s been propagated for many years, including by yours truly. So I mean to correct the record. Much of Waldrop’s account of what happened between Xerox and Apple is a retelling of an account from Michael Hiltzik’s book, “Dealers of Lightning.” From what he says, the Apple team’s visit at PARC was not a total revelation about graphical user interfaces, but it was an inspiration for them to improve on what they had developed. The idea of a graphical user interface on a computer was already out there. People at Apple knew of it prior to visiting Xerox. Xerox had been publishing information about the concept, and had been holding public demos of some of the graphical technology PARC had developed. So the idea of a graphical user interface was not a secret at all, as has been portrayed. However, this does not mean that every aspect of Xerox’s user interface development was made public, as I’ll discuss below. Apple had been working on a computer called Lisa since 1978. It was a 16-bit machine that had a high-resolution bitmapped display. The Lisa team called it a “graphical computer.” Apple was approached by the Xerox Development Corporation (XDC) to take a look at what PARC had developed. The director of XDC felt that the technology needed to be licensed to start-ups, or else it would languish. Steve Jobs rebuffed the offer at first, but was convinced by Jef Raskin at Apple to form a team to go to PARC for a demonstration. Apple and Xerox made a trade. Xerox bought a stake in Apple that was worth about $1 million, in exchange for Apple getting access to PARC’s technology. Waldrop says that Jobs and a team of Apple engineers made two visits to PARC in December 1979. According to an article from Stanford University, Jobs was not with them for the first visit. Waldrop notes that by this point Apple had already added a graphical user interface to the Lisa, but that it was clunky. By Larry Tesler’s account, there were more visits by the Apple team than Waldrop talks about. He has a different recollection of some of the details of the story as well. I include these different sources to give a “spectrum” of this history. The Apple team came back to PARC, unannounced. This is the visit that’s usually talked about in Apple-PARC lore, and is portrayed in the Pirates of Silicon Valley clip above. Jobs demanded to see the Smalltalk system *NOW*. A heated argument ensued between PARC and Xerox headquarters over this. Xerox’s executives ordered the PARC team to demonstrate Smalltalk to the Apple team, citing the partnership with Apple brokered by XDC. Bob Taylor was out of town at the time. He later said that he had no respect for Steve Jobs, and if he had been there, he would’ve kicked the Apple team out of the building, no if’s, and’s, or but’s! He figured Xerox would’ve fired him for it, but that would’ve been fine with him. This time the people from Apple were prepared. They asked very detailed technical questions, and they got to see what Smalltalk was capable of. They saw educational software written by Goldberg, programming tools written by Larry Tesler, and animation software written by Diana Merry that combined graphics with text in a single document. They got to see multiple tasks on the screen at the same time with overlapping windows, in a “desktop” metaphor. Jobs was beside himself. He exploded, “Why hasn’t this company brought this to market?! What’s going on here? I don’t get it!” This was when Jobs had his epiphany about the graphical user interface, though Waldrop doesn’t delve into what that was. The breakthrough for him may have been the desktop metaphor, how it allowed multiple, different views of information, and multiple tasks to be worked on at the same time, along with everything else he’d seen. The way Waldrop portrays it is that Jobs realized that using a computer should be a fulfilling and fun experience for the person using it. According to Hiltzik, the partnership between Xerox and Apple, of which the Apple stock trade had been a part, quickly fell apart after this, due to a culture clash. The Lisa’s chief programmer, Bill Atkinson, had to go off of what he remembered seeing at PARC, since he no longer had access to their detailed technical information. So the idea that Apple (and Microsoft for that matter) “stole” stuff from Xerox is not accurate, though there was trepidation at PARC that Apple would steal “the kitchen sink.” While the visit gave the Lisa team ideas about how to make computer interaction better, and what the potential of the GUI was, Hiltzik said it wasn’t that big of an influence on the Lisa, or the Macintosh, in terms of their overall system design. What this account means is that the visits to PARC were tangentially influential on Apple’s version of the idea of a graphical user interface. They did not go in ignorant of what the concept was, and it did not give them all of the ideas they needed to create one. It just helped make their idea better. The people at PARC were aware of the nascent microcomputer phenomenon that was occurring under their noses. Some of them went to the Homebrew Computer Club meetings, where Steve Jobs and Steve Wozniak used to hang out. They read the upstart computer press that was raving about what Bill Gates and Steve Jobs were doing with their new companies, Microsoft and Apple Computer. According to Waldrop, it galled them that this upstart industry was getting so much attention and adoration that they felt it didn’t deserve. Steve Jobs was somewhat of an exception. At least he got a hint of “what had already been done.” It took some prodding, but once he got it, he paid attention. Still, he didn’t fully understand the significance of the research that went into what he saw. For example, Jobs was very hostile to the idea of computer networking at the time, because he thought that would deprive the personal computer user of their autonomy. Freedom from dependency on larger computer systems was a notion he held to ideologically. When he railed against IBM as “big brother” it wasn’t just for show. If only he had been aware of Licklider’s vision for the internet (which was published at the time), the notion of a distributed network, with independent units, and the DARPA work that was creating it, perhaps he would’ve cottoned to it the way he had the graphical user interface. We’ll never know. He came to understand the importance of the network features that had been developed at PARC about 6 years later when he left Apple and started up NeXT. They showed me, really, three things, but I was so blinded by the first one that I didn’t really ”see” the other two. One of the things they showed me was object-oriented programming. They showed me that, but I didn’t even “see” that. The other one they showed me was really a networked computer system. They had over 100 Alto computers all networked, using e-mail, etc., etc. I didn’t even “see” that. I was so blinded by the first thing they showed me, which was the graphical user interface. I thought it was the best thing I had ever seen in my life. Now, remember it was very flawed. What we saw was incomplete. They had done a bunch of things wrong, but we didn’t know that at the time. Still, though, the germ of the idea was there, and they had done it very well. And within ten minutes it was obvious to me that all computers would work like this, someday. Xerox released the Star in 1981 as the 8010 Information System. It had a Smalltalk-like graphical user interface, anywhere from 384 kilobytes of memory up to 1.5 MB, an 8″ floppy drive, a 10 to 40 MB hard disk, a monitor measuring 17″ diagonally, a mouse, a bevy of system features, Ethernet, and laser printing. (source: The Xerox “Star”: A Retrospective) The 8010 cost $16,500 per unit, though a customer couldn’t purchase just the computer. It was designed to be an integrated system, with networking and laser printing included. A minimal installation cost $100,000 (about $252,438 in today’s money). Xerox was going for the Fortune 500, which could afford expensive, large-scale systems. Even though the designers thought of it as a “personal computer” system, the 8010 was marketed under the old mainframe business model. The designers at SDD put the kitchen sink into it. It had every cool thing they could think of. The system was designed so that no third-party software could be installed on it at all. All of the hardware and software came from Xerox, and had to be installed by Xerox employees. This was also par for the course with typical mainframe setups. In the Star operating system, all of the software was loaded into memory at boot-up, and kept memory-resident (very much like Smalltalk). Users didn’t worry about what applications to run. All they had to focus on was their documents, since all documents and data were implicitly linked to the appropriate software. It presented an object-oriented approach to information. It didn’t say to you, “You’re working with a word processor.” Instead, you worked with your document. The system software just accommodated the document by surreptitiously activating the appropriate part of the system for its manipulation, and presenting the appropriate interface. Since the Xerox brass recognized they knew nothing about computers, they turned the Star’s design totally over to SDD. There appeared to have been no input from marketing. Even so, as Steve Jobs said of the executives, “They were copier-heads. They just had no clue about a computer, what it could do.” It’s unclear whether input from marketing would’ve helped with product development. I have a feeling “the innovator’s dilemma” applies here. The designers at SDD were also told that the cost of the product was no object, since their target market was used to paying hundreds of thousands of dollars for large-scale systems. The Xerox executives miscalculated on this point. While it’s true that their target market had no problem paying the system’s price tag, personal computing was a new, untested concept to them, and they were wary about risking that much money on it. Xerox didn’t have a low-risk, low-cost entry configuration to offer. It was all or nothing. Microcomputers were a much easier sell in this environment, because their individual cost, by comparison, went unnoticed in corporate budgets. Corporate managers were able to sneak them in, buying them with petty cash, even though IT managers (who believed wholeheartedly in mainframes) tried their darnedest to keep them out. The microcomputer market, which just about everyone at Xerox saw as a joke, was eating their lunch. Bob Frankston and Dan Bricklin at VisiCorp (both alumni of the Project MAC/Multics project) had come out with VisiCalc, the world’s first commercial spreadsheet software, in 1979, and it was only available for micros. Xerox didn’t have an equivalent on the 8010 when it was released. They had put all of their “eggs” into word processing, databases, and e-mail. These things were needed in business, but it was the same thing the researchers at PARC had run into when they tried to show the Alto to the Xerox brass in years passed: People in the corporate hierarchy saw themselves as having certain roles, and they thought they needed different tools than what Xerox was offering. Word processing was what stenographers needed, in the minds of business customers. Managers didn’t want it. They wanted spreadsheets, which were the “killer applications” of the era. They would buy a microcomputer just so they could run a spreadsheet on it. The designers at SDD didn’t understand their target market. The philosophy at PARC was “eat your own dog food” (though I imagine they used a different term for it). From what I’ve heard, listening to people who were part of the IPTO in the 1960s, it was Doug Engelbart who invented this development concept. The problem for Xerox was this applied to product development as well as to overall quality control. From the beginning, they wanted to use all of the technology they developed, internally, with the idea that if they found any deficiencies, there would be no running away from them. It would motivate them to make their systems great. Thacker and Lampson mentioned in a retrospective, which I refer to at the end of this post, that someone at PARC had come up with a spreadsheet for the Alto, but that nobody there wanted to use it. They were not accountants. Xerox eventually released a spreadsheet for the 8010, once they saw the demand for it, but the writing was already on the wall by then. It’s hard for me to say whether this was intentional, but the net effect of the way SDD designed the Star resulted in an implicit assumption that customers in their target market would want the capabilities that the designers thought were important. Their focus was on building a complete integrated system, the likes of which no one had ever seen. The problem was nothing in their strategy accounted for the needs and perceptions that business customers would assert. They may have assumed that customers would be so impressed by the innovativeness of the system that it would sell itself, and people would adjust their roles to it in a McLuhan-esque “the medium is the message” sort of way. The researchers at PARC recognized that producing a microcomputer had always been an option. In 1979, Bob Belleville suggested going with a 16-bit microcomputer design, maybe using the Motorola 68000, or the Intel 8086 processor, instead of going forward with the Star. He built a prototype and showed that it could work, but the team working on the Star didn’t have the patience for it. They would’ve had to throw out everything they had done, hardware and software, and start over. Secondly, they wouldn’t have been able to do as much with it as they were able to do with the approach they had been pursuing. Thacker and Lampson saw as well that building a microcomputer would be more expensive than going ahead with their approach. It was, however, a fateful decision, because the opposite would be true two years later, when the 8010 Information System was released. When Apple released their Lisa computer in 1983, Xerox realized that they had missed their chance. The future belonged to IBM, Apple, and Microsoft. From about 1980 on, people left PARC to join other companies. They were bleeding talent. Taylor was seen as part of the problem. He had an overriding vision, and it was his way, or the highway, so others have said. He understood full well where computing was going. He was just ahead of his time. He could be very supportive, if you agreed with his vision, but he had utter contempt for any ideas he didn’t approve of, and he would “take out the flamethrower” if you opposed him. This sounds a lot like what people once complained about with Steve Jobs, come to think of it. The director of PARC kindly asked Taylor to change his attitude. He took it as an insult, and left in frustration in 1983, taking some of PARC’s best engineers with him. From looking at the story, it appears the failure of the Star project was “the last straw” for Xerox’s foray into computer research. After Taylor left, the era of innovative computer research ended at PARC. The visions at Xerox were grandiose, and were too much, too late for the market. I don’t mean to take anything away from what they did by saying this. What they had was pretty good. It represented the future, but it was too far ahead of where the business computing market was. Competitors had grabbed the attention of customers, and they preferred what the competition was offering. The PARC researchers got it both ways. When they had the chance to develop products in 1975, ahead of the explosion in the microcomputer market, their vision wasn’t recognized by the company that housed them. By the time it was recognized, the market had changed such that much less powerful machines, backed by more innovative business models, won out. 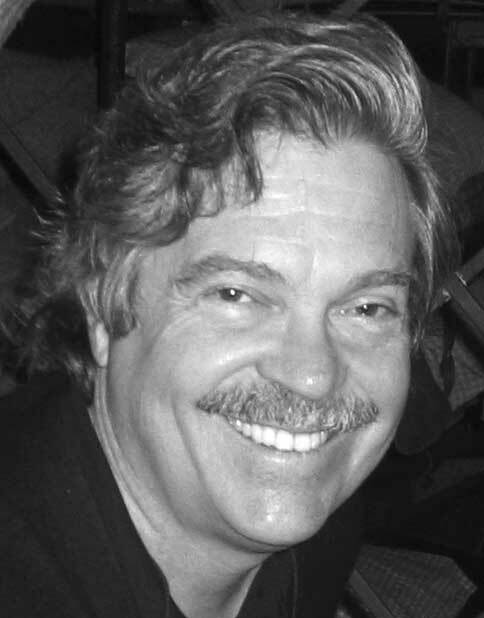 Even though Alan Kay brought the idea of a small, handheld computer to PARC, something that ordinary people would love to use, he valued computing power over the size of the machine. As he would later say about that period, the idea of the Dynabook was more of a service metaphor. The size and form of the hardware was incidental to the concept. (source: An Interview with Computing Pioneer Alan Kay) Thacker and Lampson, the designers of the 8010, shared that value as well. By the late 1970s the market was thinking “small is beautiful,” and they were willing to tolerate clunky, low-powered machines, because their economies of scale met immediate needs, and they created less friction from corporate politics. Apple and Microsoft used ideas developed at PARC to further develop the personal computer market, and so watered down pieces of that vision got out to customers over about 20 years. Today we live in a world that resembles what Bob Taylor envisioned, with individual computers, networking, and digital printing, using graphical systems. The outside world would come to know the desktop graphical user interface metaphor because of Smalltalk, though the metaphor was repurposed away from Alan Kay’s powerful ideas about a modeling system, into a system that made it easy to run applications, and emulated integrating older media together into virtual paper documents. The Paint, Draw, and Write applications that appeared on the Apple Lisa and the first Macintosh systems were inspired by similar works that had been created years earlier at PARC. Software developers who have been working on apps. for Apple products in the most recent generations of systems may be interested to know that the Objective-C language they’ve used was first created by a company called StepStone in the early 1980s. The design of the language and its runtime were somewhat influenced by the Smalltalk system. Charles Simonyi joined Microsoft. He brought his knowledge from developing Bravo with him, and it went into creating Microsoft Word. He became the lead developer on their Multiplan, and Excel spreadsheet software. J.C.R. Licklider – In the late 1970s Lick visited Xerox PARC regularly. He served on the Committee on Government Relations at the Association of Computing Machinery (ACM), and as deputy chairman of the Social Security Administration’s Data Management System. He spent a year in 1978 on a task force commissioned by the Carter Administration, which examined the government’s data-processing needs. He served as president of the Boston Computer Society. He was an investor and advisor to a company called Infocom in 1979, which was founded by eight of his former students from his Dynamic Modeling group at MIT. He spent part of his time working at VisiCorp. He continued to work at MIT until he retired in 1985. He died on June 26, 1990. It should be noted that Heilmeier is credited with being the inventor of the Liquid Crystal Display (LCD), a technology Alan Kay hoped to use for his Dynabook in the 1970s, and which became the basis for the digital display most of us use today. Bob Taylor went on to found the Systems Research Center (SRC) at Digital Equipment Corp. (DEC) in 1984. He retired from DEC in 1996. He died on April 13, 2017. Butler Lampson also left PARC with Taylor, and joined him at Digital Equipment Corp. He became a Fellow of the ACM in 1992. He now works at Microsoft Research, and is an adjunct professor at MIT. He became a Fellow at the Computer History Museum in 2008. Diana Merry – After leaving Xerox in 1986, she has continued her work in Smalltalk with various employers. You can see her complete work history at her LinkedIn page. 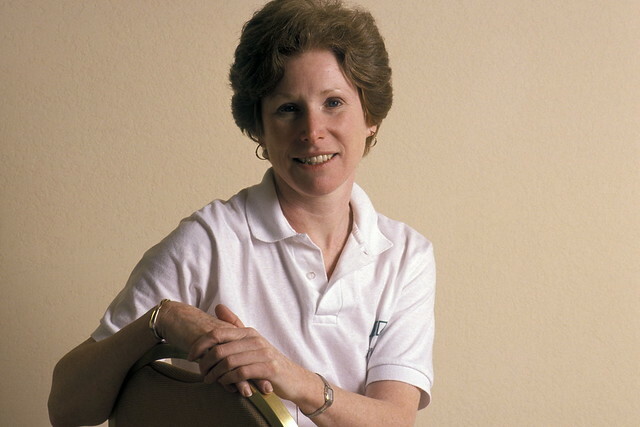 Adele Goldberg became president of the Association of Computing Machinery (ACM) from 1984 to 1986, and continued to have a long association with the organization, taking on various roles. She continued on at PARC until 1987. She wanted to make sure that Smalltalk technology got out to a wider audience, so she worked out a technology exchange agreement with Xerox in the late 1980s and founded ParcPlace Systems, which commercialized a version of Smalltalk. She served as CEO and chairwoman of ParcPlace until 1995, when the company merged with Digitalk, another Smalltalk vendor, to become ParcPlace-Digitalk. In 1997 the company changed its name to ObjectShare. In 1999 ObjectShare was sold to Cincom, which has continued to develop and sell a Smalltalk development suite. Goldberg was inducted as a Fellow at the ACM in 1994. She co-founded Neometron in 1999, and now also works at Bullitics. She is a board member of Cognito Learning Media. She has continued her interest in education, formulating computer science courses at community colleges in the U.S. and abroad. Charles Simonyi went to work at Microsoft in 1981. He led their development efforts to create Word, Multiplan, and Excel. He left Microsoft in 2002 to found Intentional Software, where he’s been at work on what I’d call his “Domain-Oriented Development” software and techniques. Larry Tesler went to work at Apple in 1980, becoming Vice President of the Advanced Technology Group, and Chief Scientist. He worked on the team that developed the Lisa computer. In 1990 he led the effort to develop the Apple Newton, one of the first of what we’d recognize as a personal digital assistant. Tesler left Apple in 1997 to co-found a company called Stagecast Software. In 2001 he joined Amazon.com as its Vice President of Shopping Experience. In 2005 he joined Yahoo! as Vice President of its User Experience and Design group. In 2008 he went to work for 23andMe, a personal genetics information company. Since 2009 he’s worked as an independent consultant. Timothy Mott left Xerox PARC to co-found Electronic Arts in 1982. In 1990 he became Director at Electronic Arts, and co-founded Macromedia, staying with them until 1994. In 1995 he co-founded Audible.com, and stayed with them until 1998. He stayed on with Electronic Arts until 2007. You can see his complete work profiles at Bloomberg BusinessWeek and CrunchBase. Doug Brotz – It’s been difficult finding much information on him. All I have is that he joined Adobe and was a co-developer of the PostScript laser printer control language. 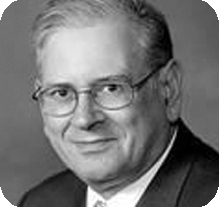 Roy Levin became a senior researcher at the DEC Systems Research Center in 1984. In 1996 he became its director. In 2001 he co-founded Microsoft Research in Silicon Valley, became a Distinguished Engineer, and its Managing Director. He continues work there today. Michael Schroeder – I haven’t found detailed information on Schroeder, except to say that as a professor at MIT he worked on the Multics project (I covered this project in Part 2 of this series), before coming to Xerox PARC, and that after PARC he worked at DEC’s Systems Research Center. He then came to Microsoft Research in 2001, where he continues to work today. He became a Fellow of the ACM in 2004. A note I found in Ellis’s bio. also says that he was the first African American to receive a Ph.D. in computer science, in 1969, from the University of Illinois at Urbana-Champaign. He did his post-graduate work developing the Illiac IV supercomputer, an ARPA/IPTO project, and one of the first massively parallel computer systems. 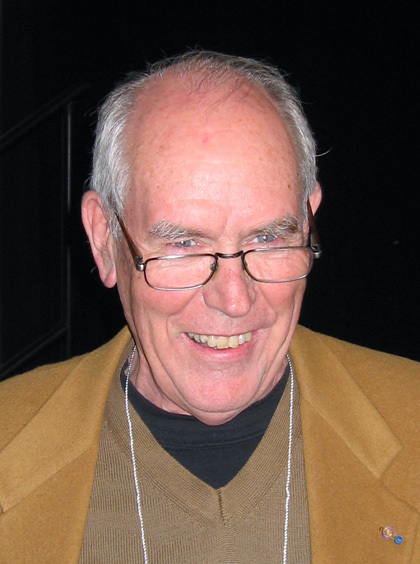 Gary Nutt worked at Xerox PARC from 1978-1980. He worked on collaboration systems at Bell Labs in Denver, CO. from 1980-81. He took a couple executive roles at technology firms in Boulder, CO. from 1981-1986. 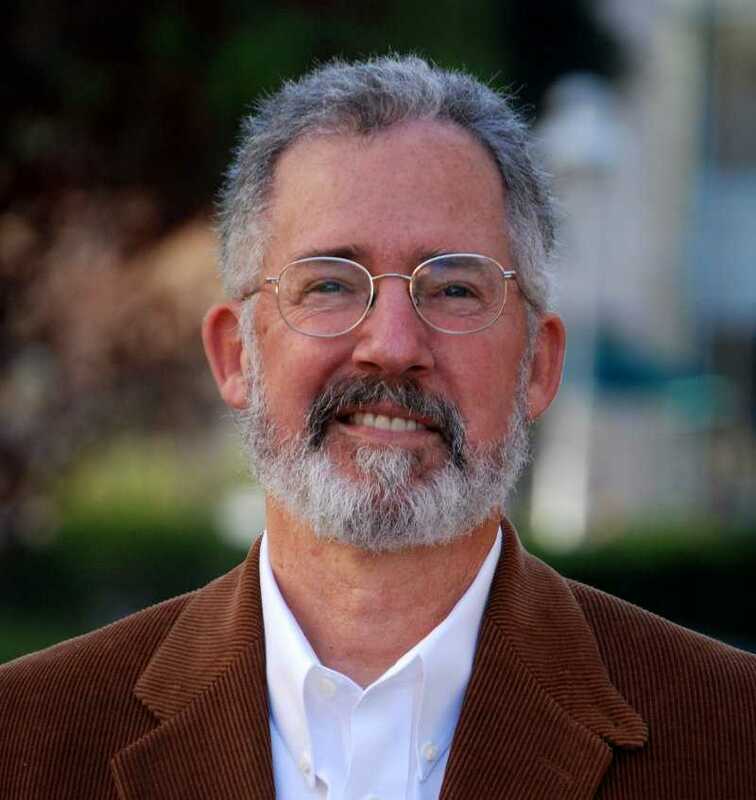 He returned to the University of Colorado at Boulder in 1986 as a CS professor (he was previously an associate CS professor at CU Boulder from 1972-1978). 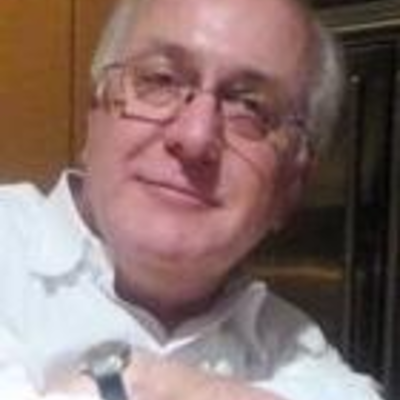 While on sabbatical in 1993, he worked for Group Bull in Paris, France, developing collaboration products. In 2000 he worked as VP of Engineering for Bookface.com, managing their intellectual property. He went to Inktomi in 2001 to work on content and media distribution over the internet. He also advised on managing their intellectual property. He retired from CU Boulder in 2010, and is now professor emeritus. You can see his work history in more detail at his web page, which I’ve linked to here. Steve Jobs – I wrote about Jobs’s work in a separate post. He died on October 5, 2011. You can watch a retrospective from 2001 given by Chuck Thacker and Butler Lampson on their days at PARC, and what they did, here, if you’re interested. It gets pretty technical, and is an hour and 20 minutes long. You can see a 2010 interview with Adele Goldberg at the Computer History Museum, where she reviews her academic, educational, and business career here. It’s about an hour and 30 minutes. Here’s a presentation given by the University of Texas at Austin in 2010, with Mitchell Waldrop, the author of “The Dream Machine,” and Michael Hiltzik, the author of “Dealers of Lightning,” along with an interview with Bob Taylor. It’s a nice bookend to the history I’ve discussed here. The closing chapter in Waldrop’s book is called, “Lick’s Kids.” It talks about the people who were mentored by Licklider, either through ARPA, or at MIT, and who went out into the world to bring their ideas to life. It also talked about his waning years. He lived to see “the wheel reinvented” with microcomputers. The companies that were going gangbusters with them were repeating many of the lessons he and his researchers had learned in the 1960s, working at ARPA. The implication being that if they had merely taken time to look at what had already been learned 20 years earlier they would’ve avoided the same mistakes. He also saw the first glimmers of his vision of the Multinet come into being with the internet. When reflecting on his life’s work, Lick was humble. He didn’t give himself much credit for creating our digital world. He thought of himself as just happening to be at the right place at the right time while some very bright people did the real work. But those who were mentored, and funded by him gave him a great deal of credit. They said if it wasn’t for him, their ideas would not have gotten off the ground, and often he was the only one who could see promise in them. He was indeed in the right place at the right time, but what was important was that he was in the right position to give them the support they needed to bring their dreams into reality. I’ll talk more about Bob Kahn, and the development of the internet, in Part 4.